Košice is the kind of city where locals stop you to ask whether this is your first time in the city and how you like it. It’s the kind of city where a local man comes to you to tell a story of their cathedral when he sees you taking pictures of it. It’s the kind of city that is not fully packed with world famous sights but steals your heart silently and secretly. There’s something about it that you can’t help but fall in love. 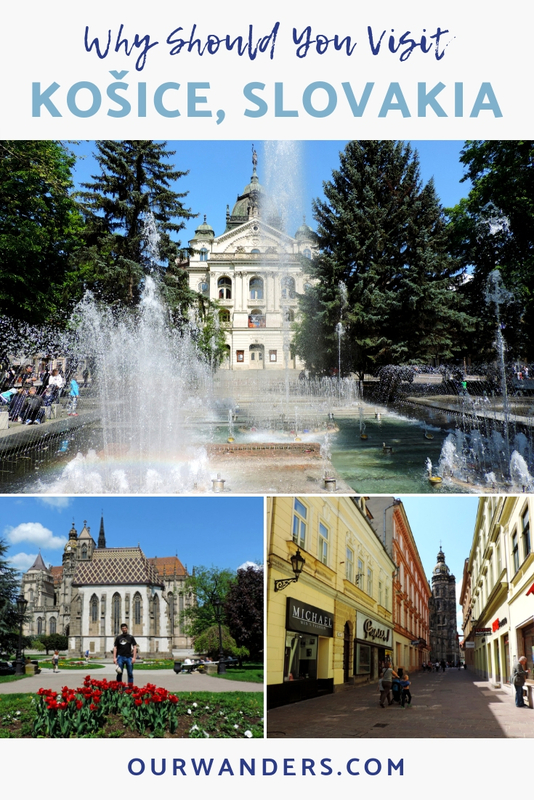 If you are planning to visit Slovakia, we’d actually recommend visiting Košice rather than the capital, Bratislava. 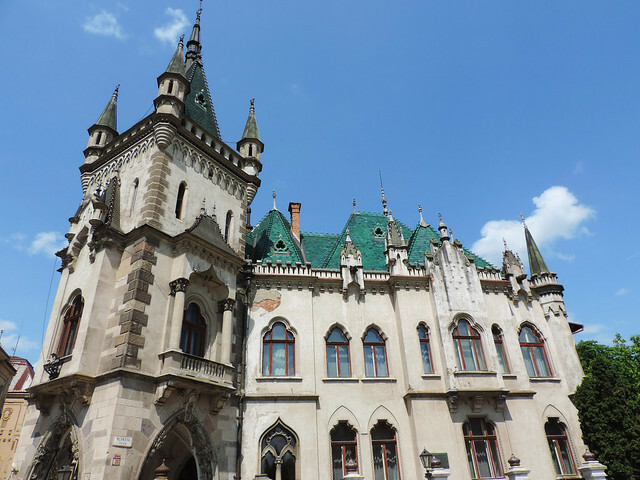 We found it a more loveable city – for one, but Košice is also more suitable to be a base for exploring Slovakia’s amazing national parks that are all further from Bratislava. It was born as a Hungarian royal village in the 13th century. 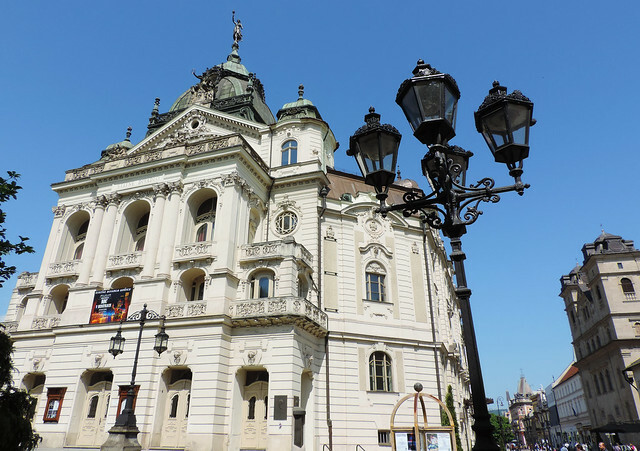 Later Kassa (as it is called in Hungarian) became a free royal town and a significant cultural and political center in Hungary until the World Wars. After World War I and the break-up of the Austro-Hungarian Empire Czechoslovak troops occupied the city and it was given to Czechoslovakia under the terms of the Treaty of Trianon in 1920. Today it’s an economical and culture center of the Slovak Republic. 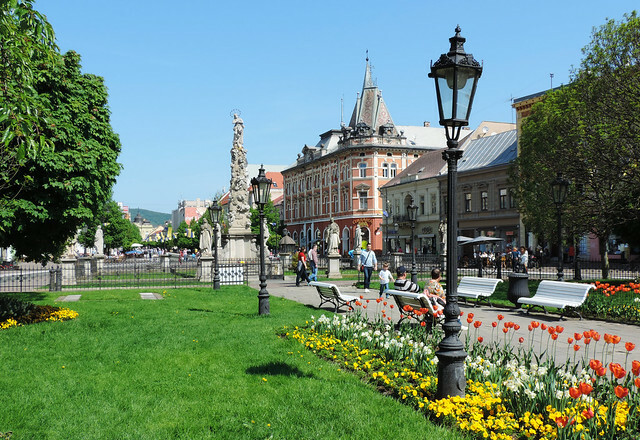 The historical center of Košice is the largest among Slovak cities and towns. 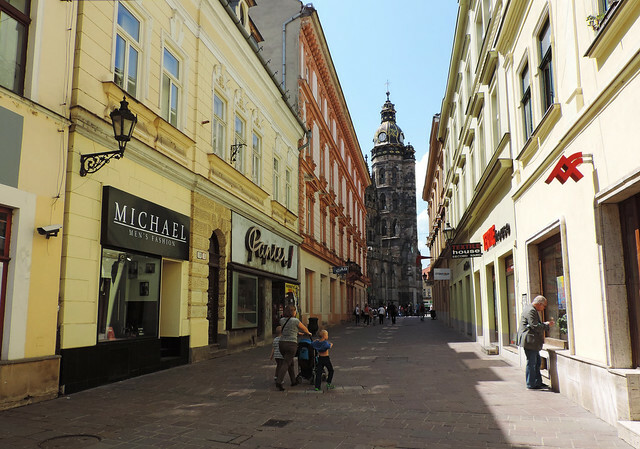 Most of the historical monuments, aristocratic palaces and churches are located around Main Street (Hlavná ulica in Slovak), so our sightseeing schedule was basically walking on Main Street and wandering around in all the nearby streets and squares. This area is mostly a pedestrian zone, by the way. Elegant selection of Gothic, Renaissance, Baroque and Art Nouveau buildings amazed us on Main Street and the countless boutiques, cafés and restaurants gave it a lively vibe. Colorful flowers were all along the streets and in the parks, and all the fountains were operating on that sunny summer day. 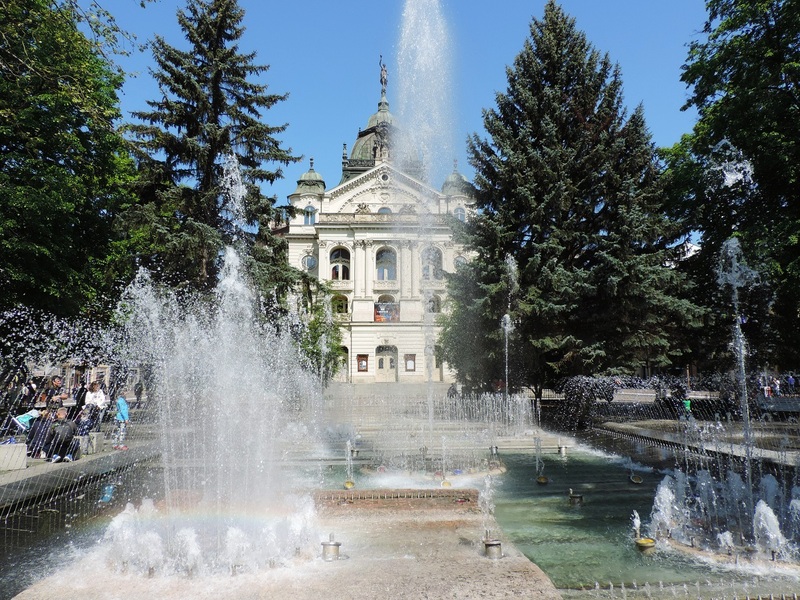 I’m not sure how Košice feels in other seasons but exploring it on a hot summer day while eating delicious ice-cream was just perfect. St. Elisabeth Cathedral dominates the historical town. 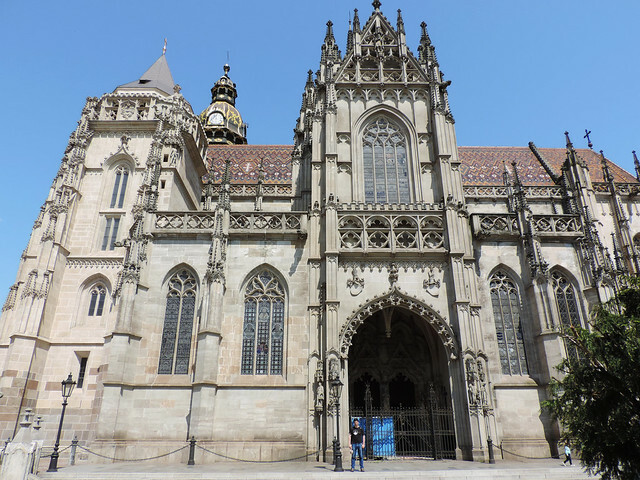 This large Gothic cathedral was built in the 14th century and it’s Slovakia’s largest church today. 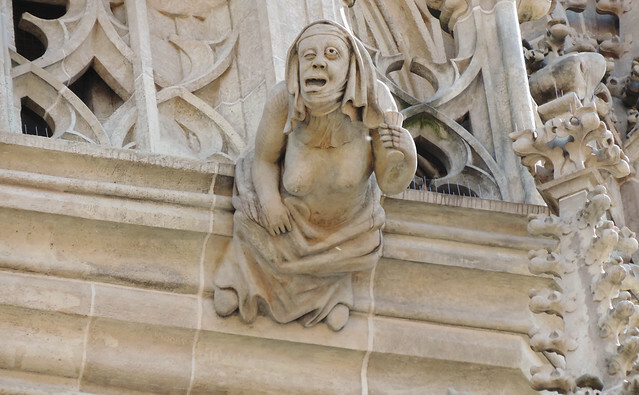 A local man called our attention to one of the gargoyles that – unlike all the other gargoyles on the church – is a woman figure. He told us that according to the legend it’s the builder’s mother-in-law and it’s likely enough that they were not in a good relationship. 😀 Who knows? But gargoyles are usually animals or monsters so this monstrous woman is definitely a memorable exception. 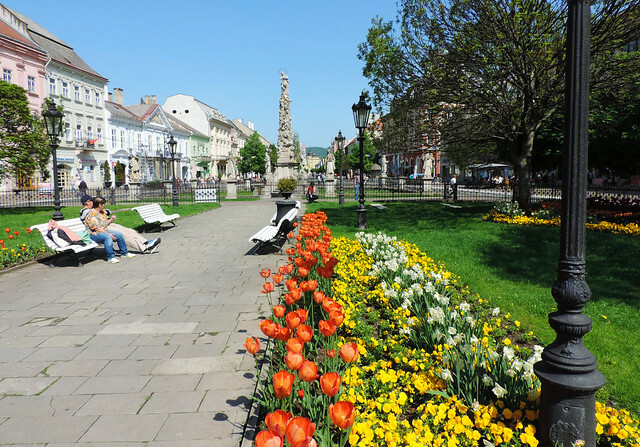 The Singing Fountain (Spievajúca fontána) on Main Square – and all the flowers! The wonderful karst caves of both Slovak Karst and Aggtelek National Park are located close to Košice. 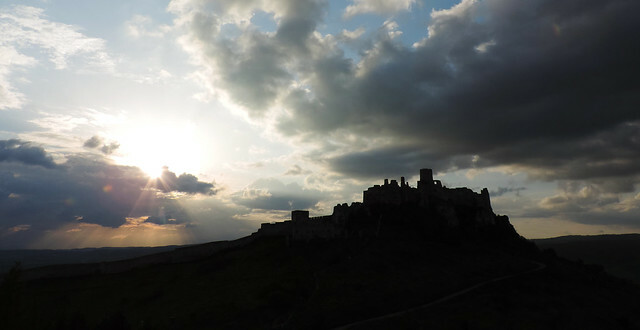 The romantic ruins of Spiš Castle is only about an hour drive from the city. Once you’re there it’s worth checking out the fabulous glens and waterfalls of Slovak Paradise National Park that’s another 30 minutes from the castle by car. 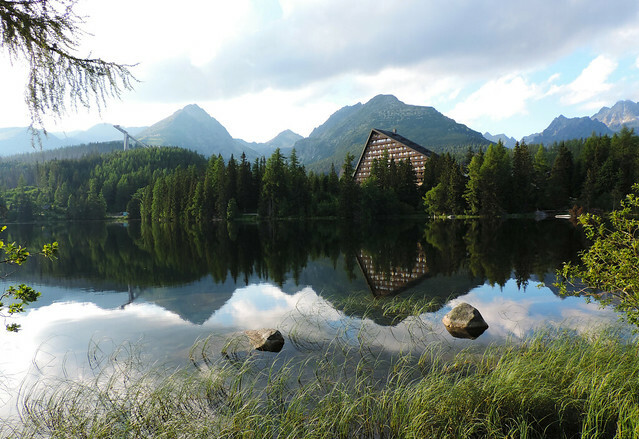 Actually, Slovakia is not such a giant country and even the High Tatras, Slovakia’s alpine paradise is quite easily reachable from Košice. It’s about 1.5 hours drive, mostly on motorway. 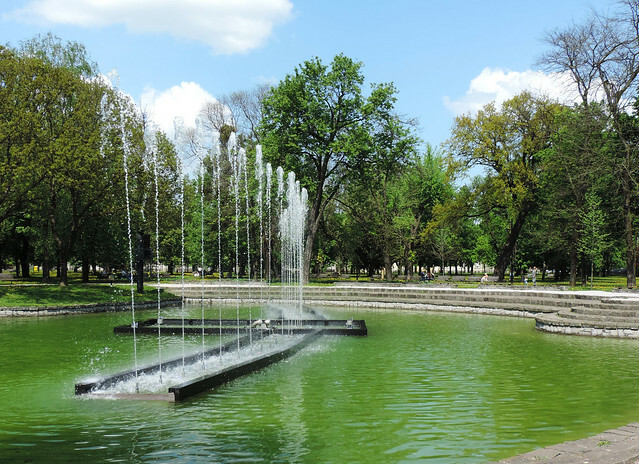 We’d definitely recommend to check out any of these parks or hunt for some romantic castle ruins standing proud on lonely hilltops, because it’s the countryside, the mountains, plateaus, caves and canyons what amazed us the most in Slovakia. Have you been to Slovakia? Would you like to visit it?